After a long-term continuous adjustment, the A-share market has entered the historical position of valuation. "Securities Daily" reporter noted that since the beginning of 2019, there are manyfundThe channels for large-scale purchases and fund conversions have been resumed, and some funds have significantly increased their purchase quotas this year. According to the data, before the Spring Festival holiday this year, 55 funds have already released the large-scale subscription business.announcement. Undoubtedly, these funds are all worthy of the "Spring Festival Year-end Award" in the hands of investors. It should be noted that the continuous volatility of the A-share market throughout the year made some investors' risk aversion strong. Investors chose to redeem and the net value of the fund unit fell, making the scale of equity funds shrink by nearly 30% throughout the year. The fund has intensified the increase of the purchase quota and the liberalization of large-scale purchases this year. One can supplement the loss of some funds, and the second is alsofund companyAbsorb funds to prepare for admissionHershey'smachine. 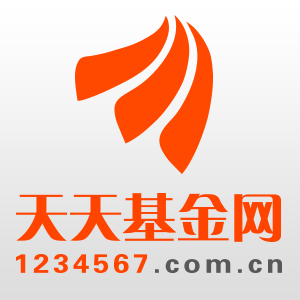 On the last trading day before the Spring Festival, two fund companies jointly announced the announcement of the fund's large-scale subscription business: China Resources Yuanda Cash PasscurrencyThe large-scale subscription (including conversion transfer and regular fixed investment) business will resume from February 11th. Prior to this, the fund had suspended the large-scale subscription business since January 2, 2018; the other resumed. The fund for the large-scale subscription business is Taiping Hengli Pure Bond. The announcement shows that the fund will resume large-scale subscription business from February 12. In fact, the funds that have been liberalized in the near future will not stop the above two.Southern fund,Bank of Communications Schroder Fund,Dacheng FundwithEverbright Prudential FundA number of fund companies have recently announced a notice to resume the large-scale subscription business of some of their products. "Securities Daily" reporters found that before the Spring Festival holiday this year, there have been 55 funds issued a notice to resume large-amount subscription business, in addition, 73 funds have raised the maximum amount of large purchases in the same period. The Bank of Communications Schroder Fund released six of its subsidiaries on January 31.Monetary FundAnnouncement on the large-scale subscription business, a strong "swipe screen." Specifically, Bank of Communications Tianyibao currency A/E, Bank of Communications current currency A/E, Bank of Communications cash treasure currency A/E, Bank of Communications currency A/B, Bank of Communications Tianxinbao currency A/E and The contents of the announcements issued by the six money funds of Yintian Yunbao Currency A/E are basically the same - "the suspension before the Spring Festival holiday and the large-scale purchase after the holiday", limiting the amount of large-scale purchases and large-scale conversions into the business. It is 1 million yuan. According to the A/B/C merger statistics, as of February 10 this year, a total of 725 funds in the public fund market were in a state of suspension of subscription, and 820 funds were in a state of suspension of large purchases. The two funds with the lowest single-day subscription limit are still flexible for Jiashi Wenze Pure Bond and Jiashi Anyi. The one-day subscription limit for the two funds is 10 yuan; the one-day subscription limit for Cathay Pacific Run Bonds is 100. Yuan, another Boss new strategy flexible configuration A and other 34 funds, the single-day subscription limit is 1,000 yuan. Before the Spring Festival holiday, there will be professionalism for the intensive release of large-scale subscription announcements for many funds.Fund researchThe people analyzed the reasons behind it: On the one hand, the overall size of equity funds has continued to shrink in recent years, especially last year, some funds that have suffered large-scale redemption are in urgent need of funds; on the other hand, the A-share market The overall valuation level has been at a historically low level, and some fund companies and cooperative institutions have reached a consensus and quickly entered the market. Indeed, the continued volatility of the A-share market throughout the year has also led to a lot of investor investor sentiment in this year's investment sentiment, and even many investors redeemed their holdings last year. This also makes the equity fund, which was originally lower in overall size, once again suffered a larger scale shrinkage. "Securities Daily" reporters found that there are 2071 equity funds with comparable data (according to the classification of Galaxy Securities, equity funds include ordinaryEquity fundPartial stockHybrid fundAt the beginning of last year, the total size of the flexible configuration fund was 1.71 trillion yuan. As of the end of last year, the total size of the 2071 funds was 1.34 trillion yuan. In just one year, the total size of equity funds has shrunk by 0.34 trillion yuan, shrinking by nearly 30%. Analysis of the reasons behind it, on the one hand, investors have chosen to redeem equity funds in the continuous decline of the market, on the other hand, the equity fund's net value of the fund units fell last year. Statistics show that after the A/B/C merger statistics, a total of 2071 equity funds in the public fund market were established before 2018. Among the 2071 equity funds, only 256 funds achieved positive returns during the year, accounting for only 12.36%. Currently, only 3 equity funds have annual returns of more than 10%. Many funds, especially equity funds, have recently opened large-scale subscription channels, which may indicate that fund managers generally believe that the medium- and long-term allocation opportunities have arrived. This can also be found in the fund's 2018 Four Seasons Report, which has just been disclosed. Many fund managers of equity funds have expressed their outlook on the market. From the past experience, it is now a good time to allocate assets. The 5G concept and other standards have already had extremely high configuration value. However, investors need to be reminded that they should prepare for long-term investment when choosing a subscription fund, and try to lengthen the investment period as much as possible to smooth the losses caused by short-term market fluctuations, and also to improve the profitability of investment more effectively. Probability. The three major stock indexes of A-shares expanded: the GEM index rose more than 2%. The diversified financial sector led the gains. The rebound is expected to continue. 74 fund companies started to increase their positions in the “signal bombs”. 162 equity funds have been fully operational. The three major speculations and coping strategies of the stock market this week: A-share short-term adjustment and then start? LeTV's film was listed on the list of untrustworthy for the first time. Zhang Yimou, Huang Xiaoming and other stars were stuck. Selling 2 billion dumplings a year, but was detected piglet virus! 30,000 shares of well-known private placements "lying guns" The latest response came. A good news, the most noteworthy sectors and stocks next week are expected to reach new heights! Keep an eye on it! The next demon stock will be born in this section! The skull is so faint: this bomb begins! Thick and thin hair pigs want to fly! This is the last short period in the short term. A share big profit is coming! Follow this stock next week!